Roughly 8% of men and less than 1% of women are colorblind. That means in America alone, there close to 29 million of us who are colorblind. Like America, color blindness isn’t the same for everyone. 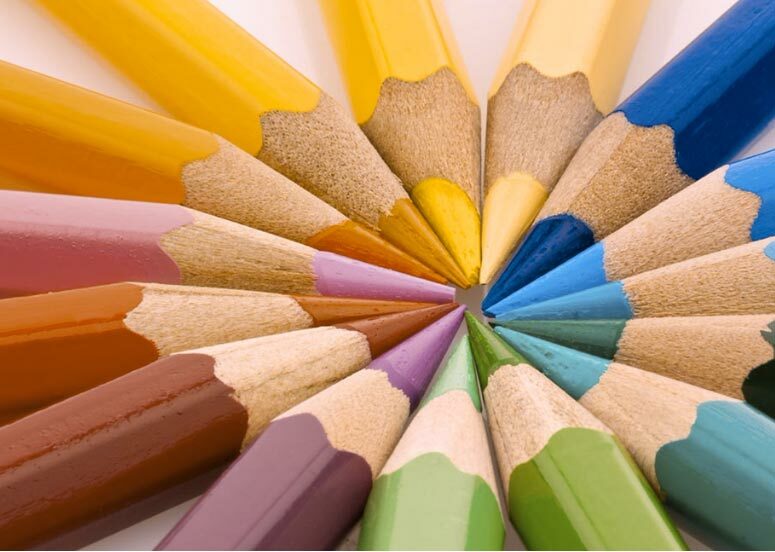 There are a variety of color deficiencies that collectively are all called color blindness. More than 99% of colorblind people do see colors, just not all of them. 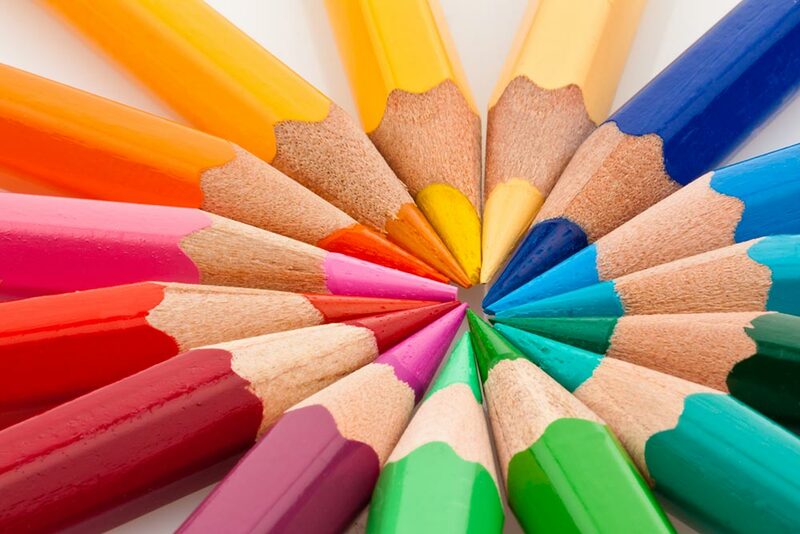 Color in our eyes is how the cones in the back of our eyes perceives the light coming through our eyes. Since the human eye sees a wide swatch of the visual light spectrum of red, green, and blue, a shift in how our cones pickup and transmit what they see is what contributes, in the end to our color proficiency or deficiency. Red deficiency is called protan, green is deutan, and blue is tritan. Color blindness is largely hereditary, meaning it is genetic, passed down from parents to children. Sometimes, color blindness is the result of glaucoma, alcohol misuse, or a head injury. Here are a variety of images that simulate how various color deficiencies see the same image. First is a normal image of a group of colored pencils. Protanopia is a less-widespread form of color blindness — only around 1% of men experience it. All shades of green and red appear somewhat faded, whilst blue and yellow shades remain virtually unchanged. Tritanopia is a very rare form of color blindness affecting men and women to an equally small degree. Those who experience it see the world in greenish pink tones. As for total color blindness, it certainly exists, but it’s extremely rare: only 0.00003% of the world’s population has it. Dr. Judy Nguyen and the other Optometrists at Bella Eye Care Optometry can help detect color blindness and can recommend tints and lenses that can help you or your loved one see better, whatever their color deficiency is. Schedule an eye exam today.